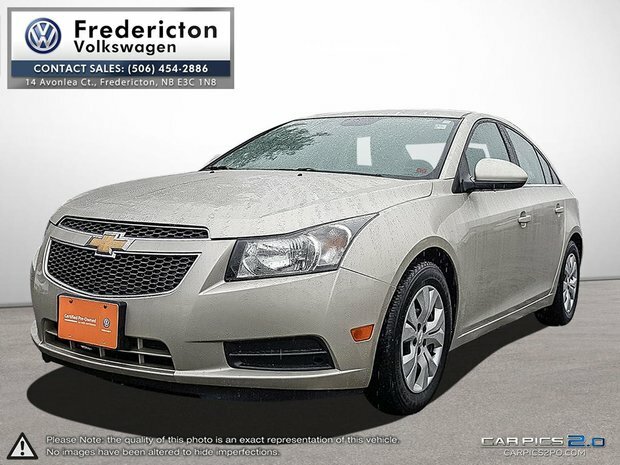 2014 Chevrolet Cruze 1LTOdometer is 8525 kilometers below market average! ECOTEC 1.4L I4 SMPI DOHC Turbocharged VVT FWD 6-Speed Automatic Electronic with Overdrive, remote start, bluetooth for phone, steering wheel audio controls, USB port, XM radio, Onstar, 6 speaker sound system, cloth seating, cruise control, traction control, tilt and telescopic steering wheel, climate control and lots more! Reviews: * Common owner praise-points include a comfortable and pleasant ride, higher-than-expected onboard space, good throttle response and mileage from the small turbo engine, and a quiet and refined drive. Most owners say they've found their Cruze to be a good overall value. Source: autoTRADER.ca Financing available. Give us a call (506-454-2886) drop by, or visit our website to book a test drive. www.frederictonvw.com. Ask about our "OUT OF TOWN BUYER'S PROGRAM". 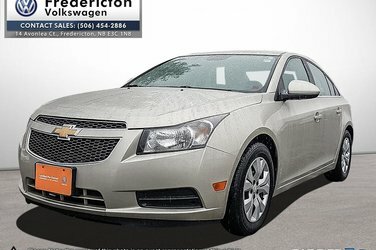 Want to try the 2014 Chevrolet Cruze 1LT?